This week on the Key of David TV Program, Gerald Flurry spoke about “The Lost Century.” Did you know that the Bible record of God’s Church abruptly ends during the lifetime of the Apostle John? Even before John died, he and other biblical writers wrote that the Church was under attack. Then—there was silence. The historical record is nearly empty. From AD 70 to 170 AD, the record is in a thick haze. Even though extensive records were kept throughout the Roman Empire and beyond during this time period, no one has reliable, detailed accounts of God’s Church after the deaths of the original apostles. Is it possible that the records were purposely destroyed? Why did persecutors of the Church work so hard to destroy the truth? Historians call this time period “The Lost Century.” Even John himself writes about heavy persecution and powerful deception occurring in the Church in his day. When the records resume, we see something disturbing. The Church that claims to be followers of Jesus Christ is drastically different from the Church we see in the Bible. What exactly happened? Why does mainstream Christianity look nothing like what we read about in the Bible? Mr. Flurry goes into detail about what happened during this time period, and why it happened. 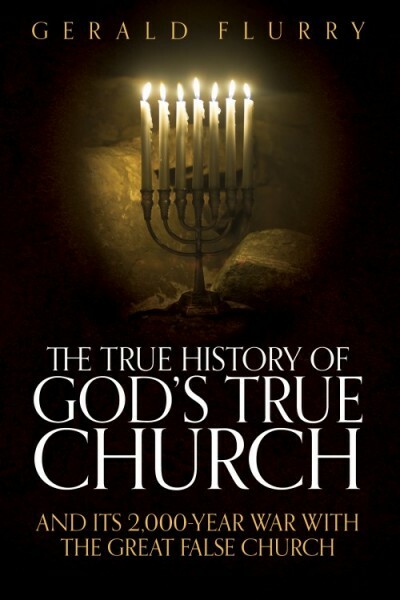 Gerald Flurry, for the first time on the Key of David, offered his new book: The True History of God’s True Church. You can read so much about God’s Church in the Bible, yet so little about God’s Church immediately after the Bible era. This new book delves straight into “The Lost Century” and the counterfeiting of Christ’s gospel. This book will show you what happened to God’s Church in the first century and how it suffered and struggled against persecutors, including a rising false church. It will show you the seven prophesied eras of God’s one and only true Church that lead right up to this very day.